Once a creditor has a court judgment against a debtor, the creditor can ask to have an examination of the debtor. This is a hearing to gather information about the debtor’s financial situation and have an order made. Client has been served court papers requiring them to go to a hearing to answer questions about their ability to pay a court judgment. the creditor can get a judgment payment order against the debtor. The proceedings differ somewhat between Small Claims Court and Supreme Court. The emphasis in the Small Claims Rules is on the creditor and debtor coming to a payment arrangement. If a judgment is made against a debtor but a payment order was not made at trial, the judgment creditor (the person or organization to whom money is owed), or the judgment debtor can initiate a payment hearing under Small Claims Rule 12. If a judgment creditor applies for a payment hearing, the judgment debtor is served with a summons for this hearing and must attend. Failure to attend can result in the debtor being declared in contempt of court. A judgment debtor who wants to apply for a payment hearing must complete a notice under Small Claims Rule 12(10), file it with the court registry, and then serve it on the judgment creditor at least seven days before the payment hearing. At the hearing, the judge considers the financial circumstances of the debtor and may order a payment schedule. Under the Supreme Court Civil Rules, there are two examination processes. The Supreme Court process most similar to the Small Claims Court payment hearing is called the subpoena to debtor process. This is outlined in Rule 13-3 of the Supreme Court Civil Rules. Under this process, the judgment debtor (the person who owes money) is summoned to a hearing to look into the debtor’s financial situation. If the debtor does not attend, they may be declared in contempt of court. Under the subpoena to debtor process, the registrar (or master) who holds the hearing examines (or allows someone to examine) the debtor. The registrar can make a payment order. The other examination process, under Rule 13-4, is an examination in aid of execution. At an examination in aid of execution hearing, the judgment creditor (the person or organization to whom money is owed), or its lawyer, asks the debtor questions about the debtor’s income, assets and other finances. Usually a court reporter is present to record the questions and answers. For this hearing, the judgment debtor is served with a notice, called an “appointment”, which sets out when and where the hearing will be held. In some instances, clients may have ignored the legal proceedings taken against them. An examination hearing in either court may be the first hearing they attend. You must get a client’s full financial picture, including a history of the court proceedings. Obtain copies of all relevant court documents, either from the client or from the court registry. Be careful to note the date of the hearing. Explain to the debtor how important it is to attend the hearing. At the same time, review the debtor’s circumstances to consider how best to resolve their financial difficulties. If the judgment creditor is the client’s only creditor, consider negotiating some kind of financial solution on behalf of the debtor before the hearing. This might mean that the hearing need not be held. If there are other creditors, other types of financial or legal solutions may be necessary. If an arrangement with the creditor cannot be made, you may be able to assist the debtor in obtaining an instalment payment order at the hearing. 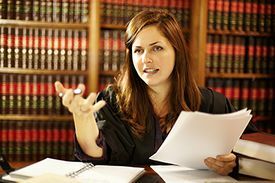 Small Claims Court judges can make instalment payment orders at payment hearings, and Supreme Court registrars can make instalment payment orders at subpoena to debtor hearings. You may be able to use these hearings to your client’s advantage. An instalment payment order protects the client: in both courts, the creditor cannot take the enforcement process any further so long as the judgment debtor is not in default of the instalment payment order. This page was last edited on 9 October 2018, at 07:42.